Oh blogging. I mean, like we need one more thing to add to our to do list. But it’s SO important! Having a blog on your website is not only great to create to engage customers, but blog posts are perfect for SEO (another dreaded word!). With everything going on in our businesses including filling orders, there never seems to be time to blog or create content. But blogging doesn’t have to be scary or time consuming. 1. Create a plan and jot down ideas. I love to start with pen and paper and blogging is no exception. Write down ideas and themes. Start keeping a running list of things you might want to talk about on your blog. Remember to think about your customer and what they would want to read. Also, try to think of new ways to get people excited about your product. 2. Schedule! Start creating a schedule and stick to it! How often are you going to blog? What days? Once a week is a great amount to aspire to. If that seems too much, maybe try every other week. Create a spreadsheet or calendar and plan out blog posts for the next few months. We of course plan ours in Trello. You can always move things around later, but at least they are scheduled and on the calendar. 3. Plan your steps! Do you need to take a picture or create a graphic? Incorporate these into your timeline so you can always stay on top of things. Take it a step forward and schedule all the steps that occur after you hit publish (see below). 4. Repurpose your content. Writing blog posts creates tons of content that can be used in other places to reach your fans and customers. Use your content in your newsletter, social media posts and on Pinterest. Link back to your blog and start driving traffic to your website! 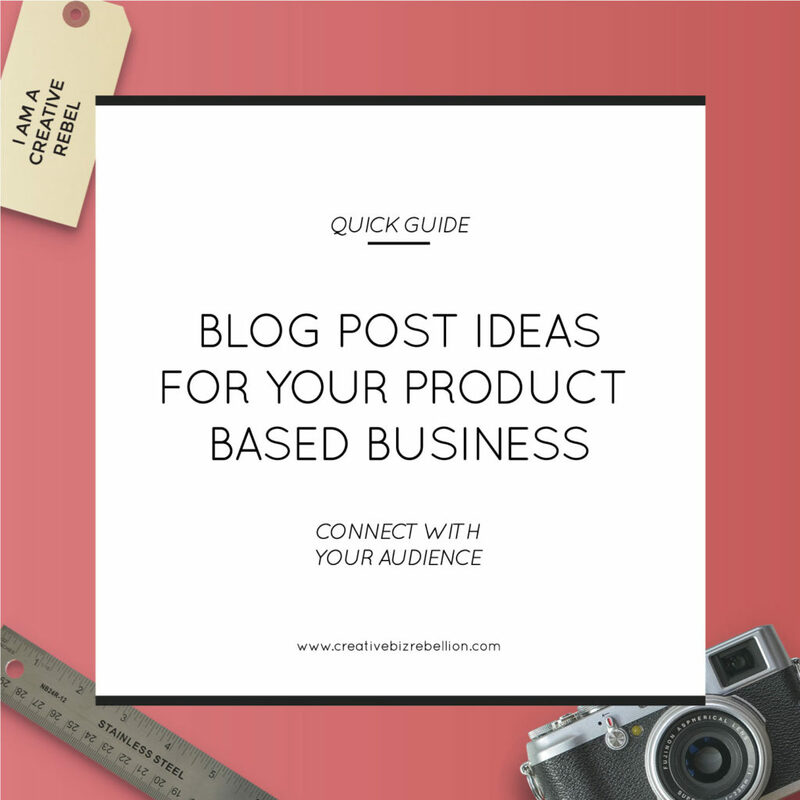 Writing blog posts for your product based business should be a priority for your marketing strategy. The best way to get started is to come up with some blog post ideas and I’ve done that for you! 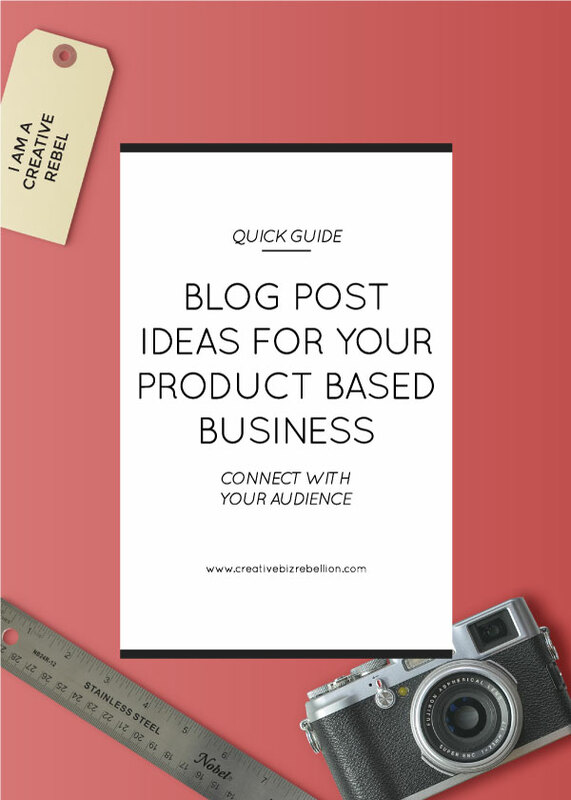 CLICK HERE to grab your free blog post ideas list + some blogs to check for inspiration!